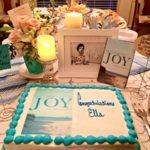 With the publication of Reclaiming Joy: A Primer for Widows and the publicity surrounding it, I am hearing the question often, “Will your book help me?” The answer in most cases is YES. Near the back of the Bible, you will find a short letter—barely four pages in my version—from the Apostle Paul to the small, poor, discouraged, divided congregation at Philippi. Fourteen times Paul used some form of the word joy/rejoice as he encouraged the church. His words have always encouraged me when I was discouraged or depressed; so I instinctively picked up my Bible and reread Philippians through the dark night of Lev’s death. The comfort, encouragement and hope that I found there are applicable for everyone who has suffered loss and longs to reclaim joy, as well as for those who want to understand and help others who grieve. Younger divorced friends said, “You describe me when you write about your loss, because I lost my hopes and dreams, my plans for the future.” Like me, they lost their identity, they lost friends and they were forced to deal with financial and legal issues while they were grieving. Three times in the last week, people have described the breakdown in their families after a death. I heard the story of another family that’s close to me: After a sibling’s sudden death, they became estranged from one another because they each handled their grief differently, and they started judging and criticizing one another. Only their parent’s death has brought them together. Yesterday, a young woman shared that her dad had died a month ago and her mother wasn’t doing well. “Is it too soon to give her your book?” I explained I had written a primer—a first reader for widows, and that while there is progression from grief to joy, each short chapter can stand alone. When she confided that her mother and sister are constantly complaining about each other, I told her that I had been shocked to discover how very fragile families are in times of grief. Everyone is grieving, everyone is overreacting and we have give one another lots of grace. 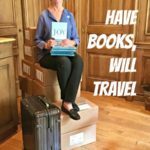 She decided to send a book to her mother and her sister. Attorneys and bankers have bought copies for their clients…and I hope they will buy copies for younger associates who have not personally experienced loss. I experienced the difference between young advisors who have seen their mothers grieve and those who have no personal, up-close experience with grief. In the immediate aftermath of Lev’s death, the majority of his professional advisors were completely tone-deaf in attempting to deal with me and my children in our grief. They had no experience with loss. And all these people who didn’t know what they were talking about tried to tell me how to “do” grief and widowhood. I hear that complaint from other widows all the time. That’s why I couldn’t write a “how-to” book in second person. I couldn’t tell others how to do this. All I could do was share my story—what I did right, what I did wrong and what I learned along the journey. Young ministers and others in the Church sometimes make the same mistake. They quote Scripture to us…tell us it was God’s will or plan, that he’s in a better place, that we have joy whether we know it or not, that we shouldn’t be lonely because Jesus is with us. We are supposed to celebrate, not grieve. I recently had lunch with people of the Church: ministers, teachers and lay leaders. I was seated at a table with a mixture of older widows and ministers a generation or more younger. I was asked about my book, and I made reference to the platitudes that the Church too often offers. So whatever your grief, whatever your loss, I invite you to read about my journey to joy. Your circumstances may be very different from mine. Find your own inner light. Write your own script. Reclaim joy! Neyland Library, the Baylor University Press and La Retama Club will sponsor the Corpus Christi book launch at 3 p.m. Friday, September 28, at Neyland, 1230 Carmel Parkway. After a reception and brief program, books will be available for purchase and signing. The event is free and open to the public. Photo: The South Texas School of Christian Studies, at the edge of the Texas A&M—Corpus Christi campus, has been educating young men and women for ministry since 1973. 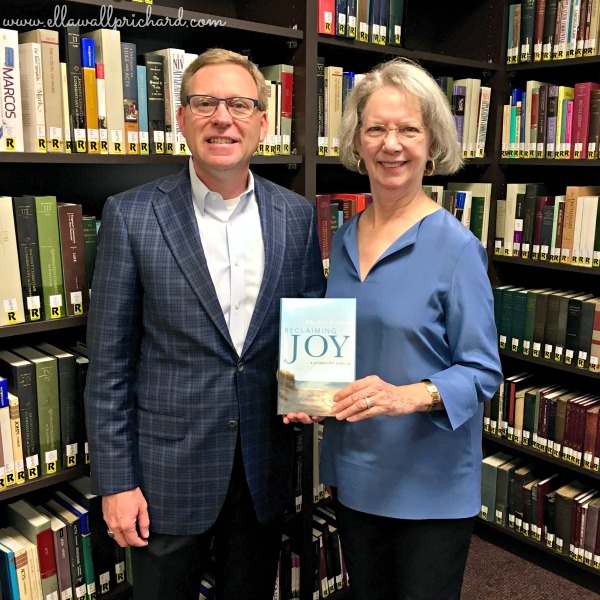 Here I present a copy of Reclaiming Joy to Dr. Tony Celelli, president, for the school library. Please visit Ella’s book page to order online and to read book reviews and interviews.